Anvil is specifically created to ensure you get the maximum flake pop from the Metallic paint. We used ingredients that have the very best clarity, this means that you get the best possible metallic flake. When we blend a wax the process is specific and very intense. We look at our previous studies and research notes to ensure that you are getting the very best finish that we can provide. With many years of blending wax now under our belts we feel very confident that you are buying the most intensely researched and trialed car wax for metallic paint available. The perfect wax if you have metallic paint and wish to show off the metallic fleck within your colour coat. We have 2 x 200ml ready for immediate dispatch. 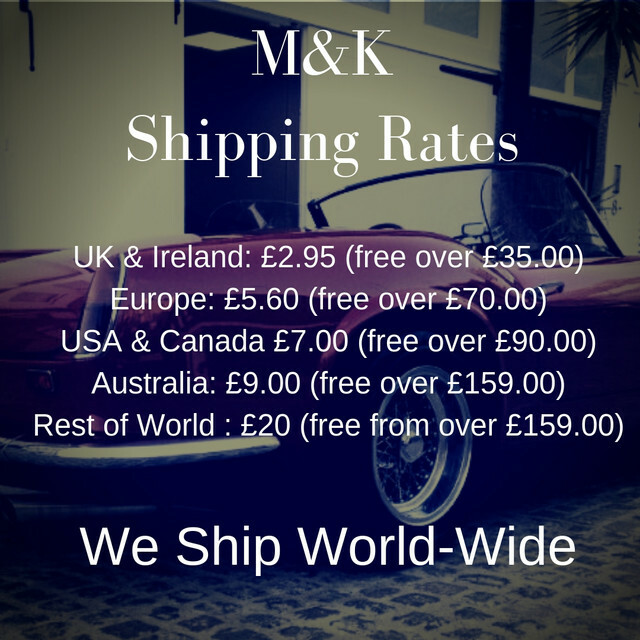 You will receive a M&K welcome pack when you spend over £75.00, this included a M&K mug, a 15ml sample of wax, a 50ml liquid sample and a sweet. Take fresh Microfibre 1300gsm, spritz with Quick Detailer and buff to a high shine. Another wax you may wish to consider for metallics is our much coveted Philip. Click here to visit the page, there are only 20 per year - so please don't hesitate. The wax is a bit hard and can't be too thick. After the completion of the wax, the consequences are not as good as I expected.